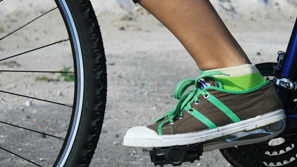 Cyclists rely on their equipment to protect them, but too often faulty helmets, wheels, brakes, and other equipment lead to serious bike accidents. The attorneys at The Law Offices of Frank L. Branson represent cyclists injured and killed due to faulty bicycle-related equipment such as defective wheels, spokes, pedals, chains, and other components. Attorney Frank L. Branson and his team of bicycle accident attorneys thoroughly investigate each bike accident to determine if faulty or defective equipment is an issue. The firm then works to make sure the bike company or component manufacturer is held accountable, and that cyclists and their families receive fair compensation. To learn more about our experience in faulty bicycle-related equipment matters, we invite you to contact the firm here.